From the Group H, this is another game on Sunday night at 9 pm local time. 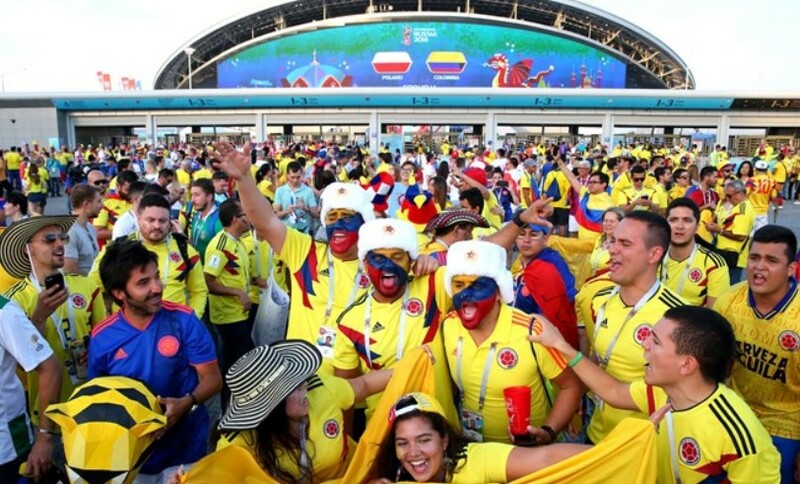 This is a match between Poland vs Colombia in the second round of the group stage, which takes venue at Kazan Arena Kazan after the Japan 2-2 Senegal draw match. Both of them meeting together as first, while Colombia has had two winning games out of nine in their previous World Cup tournaments against to the European opponent, with two drawing and five losing matches. Colombia have scored at least one goal in their 19 games at the World Cup competition. In this World Cup 2018, Colombia lost (1-2) their first game against to Japan. Similarly, Poland national football team lost to 2-1 to Senegal at first. Poland Starting XI: Szczesny, Pazdan, Bednarek, Bereszynski, Piszczek, Goralski, Krychowiak, Rybus, Zielinski, Lewandowski, Kownacki. Subs: Jedrzejczyk, Cionek, Milik, Linetty, Grosicki, Bialkowski, Teodorczyk, Glik, Blaszczykowski, Peszko, Kurzawa, Fabianski. Colombia Starting XI: Ospina, Arias, Mina, Mojica, Sanchez, Barrios, Aguilar, Rodriguez, Cuadrado, Quintero, Falcao. Subs: Zapata, Murillo, Bacca, Vargas, Muriel, Uribe, Lerma, Diaz, Borja, Izquierdo, Cuadrado. According to the winning probability based on Google stats, Colombia has 44 percent, Poland with 28 percent and 28 percent for the drawn match. Poland have not kept their clean sheet in last nine World Cup matches. Also, they lost seven matches in their last nine World Cup matches, with two winning matches.